How a Transmission Flush Works? 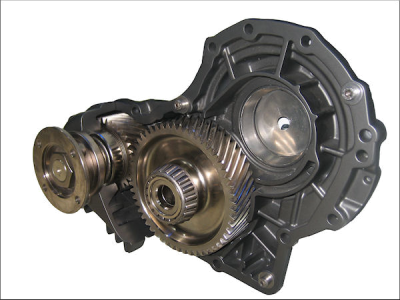 A transmission flush procedure is generally performed using equipment that either runs off the transmission pump or has its own pump built into the machine. The machines are connected to the transmission cooler lines, and while the old fluid is pumped out the new fluid is delivered at the same quantity and time. Sometimes there is a cleaning solvent that is forced back into the transmission removing deposits of old transmission fluid from parts and components or the technician performing the fush may run a solvent through the vehicles transmission before performing the flush. The cooling lines, cooler, converter and other parts are all thoroughly cleaned. One of the benefits of this procedure is that all of the transmission fluid is removed and replaced. This is different from a fluid change in which only some of the fluid is replaced. A simple fluid change cannot remove all of the built up deposits that accumulate over time as is done during a flush. Also, some of the fluid is usually stored in the torque converter potentially contaminating the new fluid that is put in.